Applicants who are enrolling or have already enrolled in the same academic program in Korea as the one they are applying for will not be admitted. (Extra) Points will be added for those with TOPIK, KLPT, TOEFL, TOEIC or IELTS certifications. Applicants who apply for natural science and technology program may be given preference. An applicant who wishes to live in the Residence Hall must check on the Application Form. Two persons share a room. Attached Facilities: laundry room (coin operated), dining hall, convenience store (CVS), stationery store, cafe, etc. 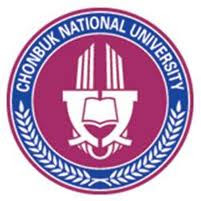 Language Education Center of CBNU operates Korean Language Classes for graduate students. How to Apply: Visit the Korean Language Center and take a level test. There is “Traditional Korean Culture Experience” available in the undergraduate course. Graduate students can also attend this class. Homepage of International Affairs Office at official website.